We telephoned the owner of the farm strip on Saturday evening and were given permission to land the following day. The morning was very bright and having checked for NOTAMs on the PC we left for the airfield looking forward to another Devon Strut flyin. We particularly like these flyins as they are so friendly and usually well attended by some interesting aircraft. We took off and soon were heading past Chilbolton and tracking along the River Test, Martin always dreams of fishing there one day. 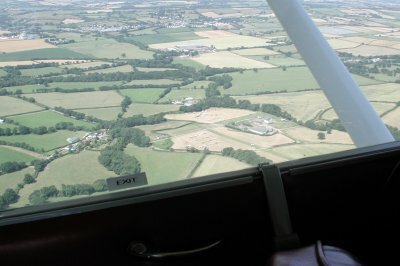 Then as we often fly West seeing Old Sarum and Salisbury to out right, Compton Abbas to our left and headed for Henstridge for some of the cheapest fuel about both for the plane and us. The airfield now has many trucks stored on its outskirts. 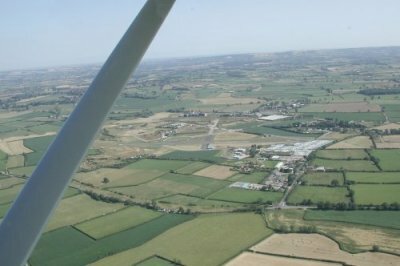 We then took off and flew past Sutton Bingham Reservoir, Yeovil , Upottery, Dunkeswell and Tiverton navigating by roads, rivers, railways and reservoirs. 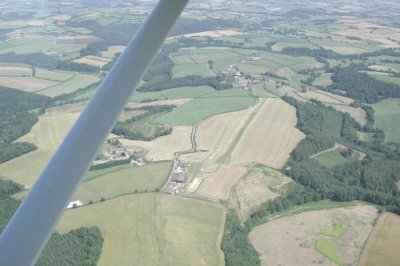 We soon arrived over Eggesford airfield where an Auster flyin was being held. This was our turning point where we headed South watching out for the Cheese factory which was given as a good navigational aid. Almost immediately we caught sight of the farm strip, several planes had landed before us. We were guided to the lower field and instructed to park in the stubble. 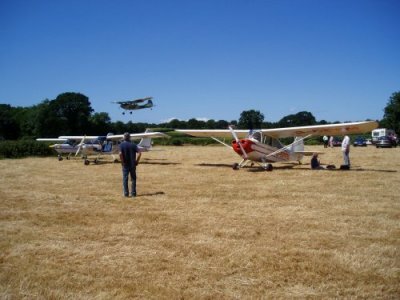 The flyin offered a magnificent lunch of local cheese or quiche (made with the local cheese) with salad and fresh bread, a selection of drinks and later a wonderful array of home made cakes. Although this was all offered free we were invited to make a donation to the Sebastian's Action Trust who provide holiday homes and practical support for children with life threatening illnesses. www.sebastiansactiontrust.org gives more information about the trust. We ate our lunch under the wing of AY and then proceeded to take a tour around the other planes. We were delighted to see the Woody Pusher, last time I saw her was in Sieppe in Holland several years ago. 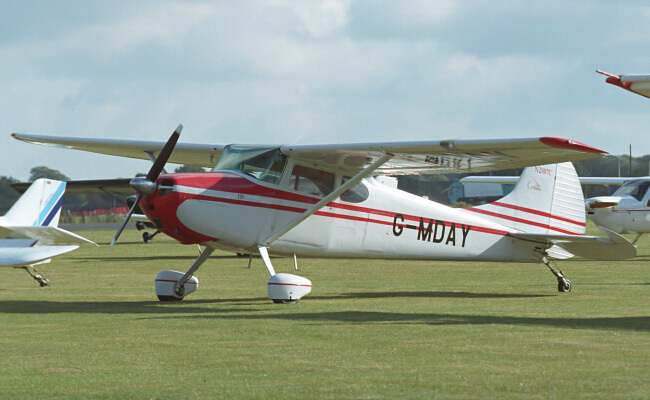 We also saw the Cessna Bird Dog which lives at Belle Vue, which is a strip close by. 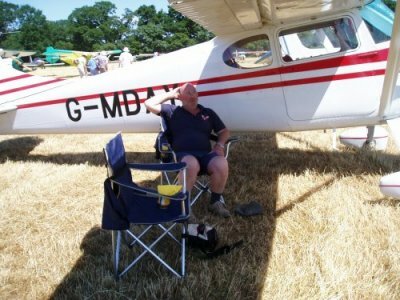 There was a Murphy Rebel, several Luscombes and many microlights. Having been fed and watered and had many interesting conversations with other pilots we took off and headed home.